Ever since Bran Stark fell from the tower on that fateful day eight seasons ago, people have been flocking to the places where Game of Thrones was shot. From the icy landscape of Iceland to the heritage sites of Spain and the cobbled streets of Croatia, there are tours that take fans to all of these places. Perhaps the best tour for the Game of Thrones Franchise is held in Dubrovnik, Croatia. The Game of Thrones books and show are grabbing the entire world, as it does every season. In turn, tour operators organize tours that take fans through major sites shown in the show. Guides can tell visitors about what key moments were shot at what site, thus, bringing fans closer to the brutal world that is the Game of Thrones. Croatia was the first country to see Game of Thrones tours because so much has taken place here. Starting from Pile Square in Old Town, you are taken through the tour of the town that stands as King’s Landing in the television show. You can walk along the way where Arya Stark once hid from the Lannisters. You can also see the 11th-century Lovrijenac Fortress and the city walls where the Battle of the Blackwater played out. Most tours here last 2-3 hours but many can be extended and some even customized. Don’t forget to see the Trsteno Arboretum as the setting of the palace gardens of King’s Landing. While in Croatia, don’t forget to visit the town of Split. Starting from the ancient Diocletian’s Palace, a UNESCO World Heritage Site, this area was used as Meereen in season four. You have the best views of the Adriatic Sea here as well. The Palace hosts the throne room, cellars and other places of interest in the show. No matter what part of Croatia you are headed to, it is extremely important to make sure you are part of a tour if you are visiting because of the Game of Thrones franchise. You won’t be able to thoroughly enjoy your visit here unless you have someone guiding you along the way. Tour guides show you things you will not catch on your own. At Tour the Game of Thrones, we offer only private tours. This way you can enjoy the tour with people you know and who share the same interests as you. Your guide will give you his or her undivided attention and you don’t have to share his or her knowledge with anyone else! If you want to stay at a particular area longer, you aren’t being rushed off to stay on schedule with the rest of the group. 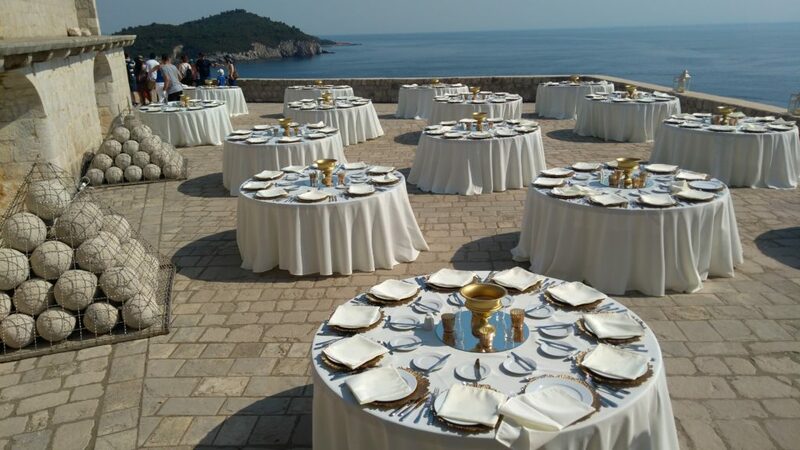 If you are coming to Dubrovnik for a Game of Thrones tour, make sure you seek out Tour the Game of Thrones for private tours given by fans for fans. It is the best way to experience the city and the television show. Our private tour experience of the city of Dubrovnik and of Lokrum Island with Tonka was a special one, and both her and Tom provided an excellent customer service experience that remains close to unrivaled from my travels. There was the right amount of balance between history and Game of Thrones for my girlfriend and I, who are fans of the show. I am confident that any tour of theirs would be adjusted based on your interests as well. I would first like to compliment a great customer service experience. Our flight to Dubrovnik from Zagreb had been cancelled, and so we were sent on buses to the area, arriving at 3 AM, about 12 hours later than planned. Because of this, our morning tour with Tonka was in great danger. Fortunately, they were able to help us out by moving the start by a few hours, and I cannot thank them enough for that, as it allowed us to enjoy our tour to the maximum with enough rest. During this ordeal, Tom and Tonka remained in close communication via email, even in the early hours of the morning. I do not want to promote flexibility on their end, but given our circumstances, it was much appreciated. For the tour itself, Tonka displayed great energy and enthusiasm, which we also appreciated. It was cool to learn about and see her appearances on the show, and she carried around a helpful picture book of show scenes that paralleled what we were seeing in person. She was incredibly gracious to take pictures when we asked, and even insisted on the best photo opportunities at times. She was also very knowledgeable on all aspects of Croatia's history and the show's details, particularly as it related to the King's Landing and Qarth scenes filmed here. I should also highlight that the sights of Dubrovnik were just absolutely beautiful, and Lokrum Island was a nice additional stop, where we were able to see an Iron Throne replica and swim in a lagoon there. The private nature of the tour, though costing slightly more than competitors' larger group tours, was entirely worth it, as you get some ability to customize your journey to your liking. This tour was easily the highlight of our time in Dubrovnik and arguably of our entire time in Croatia and Slovenia. Whether or not you are a fan of the show, I am confident you will find this private tour to your liking, with tour guides who are genuine and enthusiastic.